Brown, red and green these are the colors of propolis. But what is this Propolis you ask? Propolis is a resin like substance that is collected by bees from poplar and cone bearing trees and is mixed with beeswax and salivary enzymes. The bees use propolis for protecting the hive against microorganisms, predators, and temperature change. It is also their form of glue and is used for patching things up should the hive get damaged. But it is not only bees that have utilized the wonders of propolis it had been used throughout history for many different applications. The Egyptians used it in embalming, the Greeks used it in wound treatment, and the Persians used it to treat eczemas. The benefits of using propolis have been recognized over the ages due to the variety of minerals and vitamins, fatty acids, polysaccharides, flavonoids, antioxidants (polyphenols), antibacterial, antiviral properties and more. 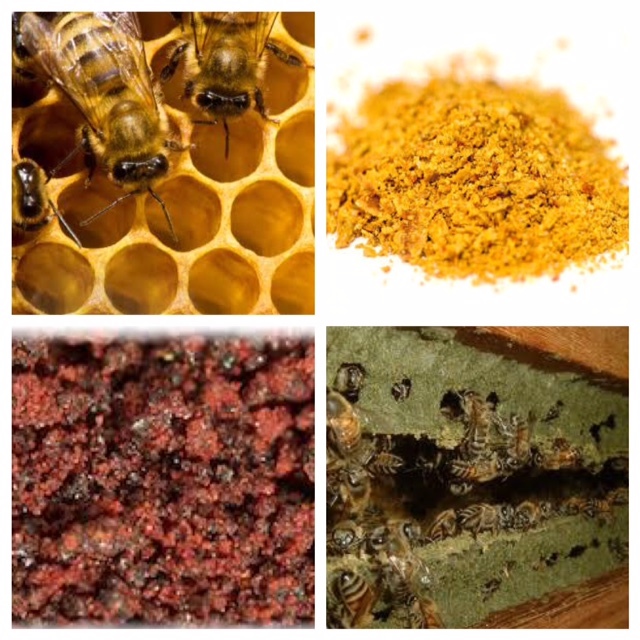 Green and red propolis found in Brazil have been the focus of recent studies but brown propolis found all around the world and has become a beacon on the radar of the medical community as a possible source for creating new drugs. These new drugs would be used to treat inflammation, reduce free radicals, improve the immune system, and reduce baterical and viral activity. Brown propolis found in New Zealand has its own unique properties. It was found to have higher antioxidant or polyphenol than propolis from other regions. New Zealand propolis averaged 237mg per gram of Polyphenol and 152mg per grams of flavonoids. Flavanoids are well known for their antioxidant capabilities but the polyphenols in New Zealand propolis are currently being researched for treatment of specific diseases including digestive disorders, HIV and cancer. So stay tuned and check out some New Zealand propolis for a natural way to help with inflammation, digestive disorders, candida and more. Almeida-Aguiar, C., Silva-Carvalho, R., & Baltazar, F. (2015). Proplis: A Complex Natural Product with a Plethora of Biological Activities That Can Be Explored for Drug Development. Evidence-Based Complementary and Alternative Medecine , 29. Makoto, O., Hirokazu, O., & Yoshimichi, F. (1999). Antioxidant Activity of Extracts from Propolis. Journal of Japan oil Chemists’ Society , 48 (2), 135-138. Chang, C.-C., Yang, M.-H., Wen, H.-m., & Chern, J.-C. (2002). Estimation of Total Flavonoid Content in Propolis by Two Complementary Colormetric Methods. Journal of Food and Drug Analysis , 178-182. Kumazawa, S., Hamasaka, T., & Nakayama, T. (2004). Antoixidant activity of Propolis of Various geographic origins. Food Chemistry , 329-339.